Why should you purchase this deal ? 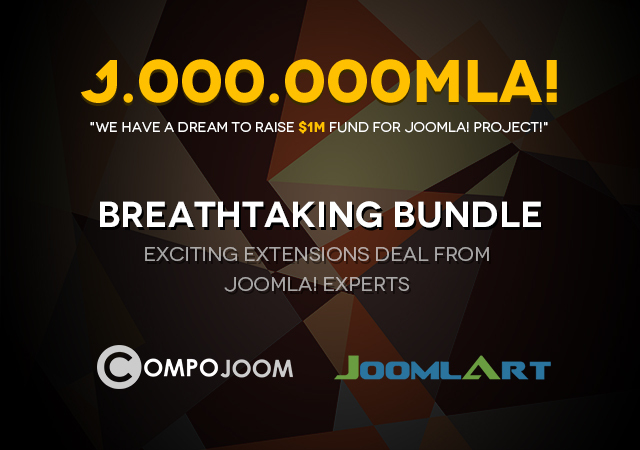 Compojoom is well-known for their amazing Joomla! extensions like Hotspots, CComments, CMigrator, Matukio, Tiles and so on. Purchase the deal and you will get 1 year unlimited access to all the the extensions. Of course, don’t forget our JATC membership. With it, you will get to download all our awesome templates and their complimentary extensions. The Joomla! Humble Bundle project has been running for a while with great support, help and praises from the Joomla! community. You can always refer to our first blog post for details. More deals and good news are on the way. Subscribe to our newsletter to get informed! This deal is 1 shot only, it will not come back anytime soon so don’t miss it.